Mile Jedinak underperformed in Aston Villa’s 3-3 draw with Sheffield United and was hooked off by Dean Smith after an hour. The 34-year-old was making his first league start since September and looked considerably short of match fitness at Villa Park. No Villa player gave away more fouls than Jedinak on the night (3) and the Australian international wasn’t too resourceful on the ball either. He completed only 63.4% of his passes and failed to make a successful tackle. 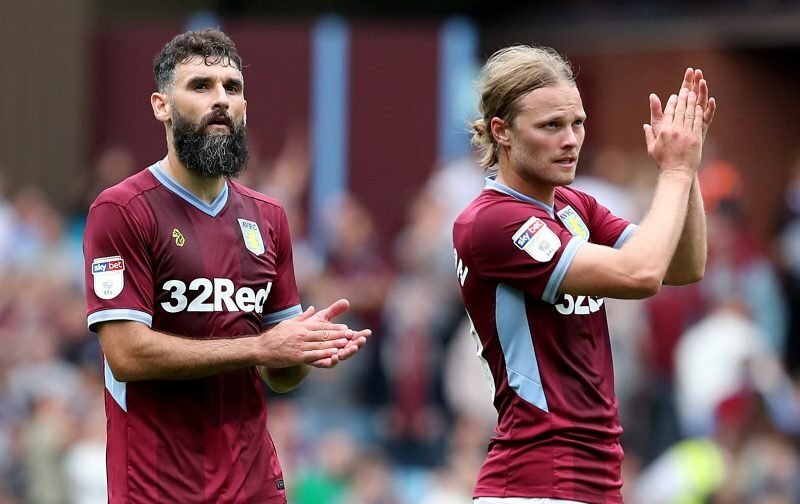 Tammy Abraham was the only outfield player for Villa to have a worse pass completion ratio than Jedinak, so it’s not hard to see why Smith took him off. It was only his third league appearance in nearly five months so he could be forgiven for some rustiness, although Smith should be correctly gauging the condition of his players. Supporters on social media weren’t too kind to Jedinak and didn’t hold back with their criticism of his performance. Trying to recall a worse half of football than the one Mile Jedinak just produced…struggling. Lost his man for the goal, passing awful, even losing middle-third headers he’s traditionally dominated. Clearly very rusty. Jedinak can’t play football. Kodjia is too lazy. Not toxic just saying. My god jedinak has been pants. This one is on Smith. Playing Jedinak made little or no sense. Frankly it was a mistake Steve Bruce would have made. Keeping him on was even worse. Bad day at the office for Villa. Mathematically still in the play-offs race but this isn't good enough. Difficult to watch a Villa side struggle with the basics of what they're being asked to do. Take the ball, pass the ball, move off the ball. They're making it look so hard. Not helped when Jedinak is at the fulcrum of it and he can't pass wind, mind. Jedinak has made 12 appearances this season, racking up little over 800 minutes of playing time in all competitions. He’s out of contract at the end of the campaign and hasn’t done much to convince supporters that he deserves to stay longer than this coming summer. My MOM was definitely Alan Hudson what a performance he gave. If all the players gave the same we would have no trouble winning games..